I feel much better now that the weekend is finally here and week-from-hell is over. 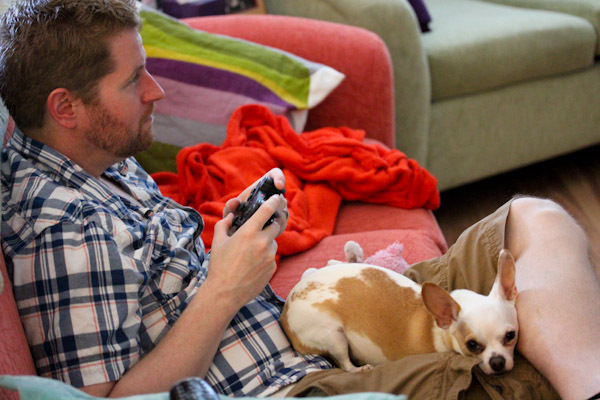 Doggie balance has been restored in our house since I’m no longer dog-sitting my mom’s chihuahua and hubby is back home from his business trip, so Miko has his gaming buddy back. 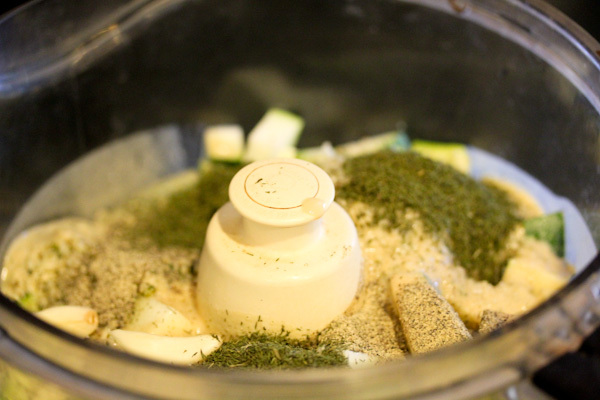 I’ve been putting my food processor to work today creating recipes for a family BBQ tonight and threw together a summery dill hummus utilizing the over-flowing amounts of zucchini coming from our garden currently. 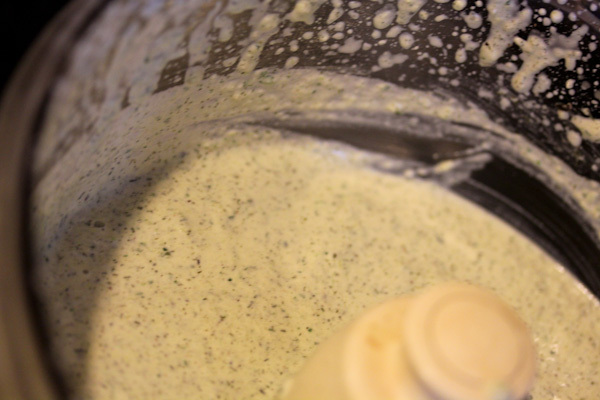 Place all ingredients into a food processor and process to a smooth and creamy texture. Chill for about 30 minutes and enjoy. Makes 4 servings. The ingredients are simple to toss into a food processor. 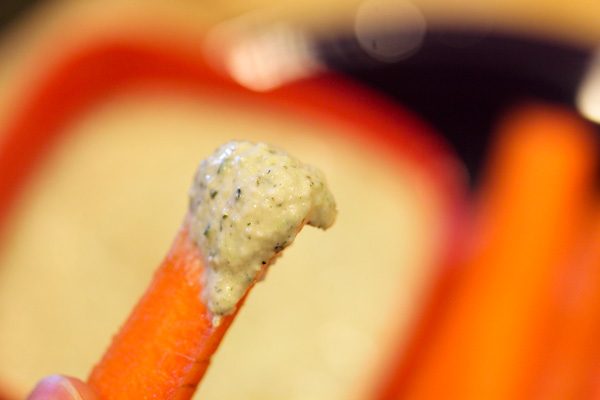 And the finished hummus looks more like a creamy ranch dressing. It pairs wonderfully with fresh veggies. But has a looser texture than traditional hummus for a lighter spreading snacking option. The flavor is the perfect balance of summer for me, savory and creamy with a lemony dill tang while not being too strong. And yikes, time to pack up and head to the BBQ already! 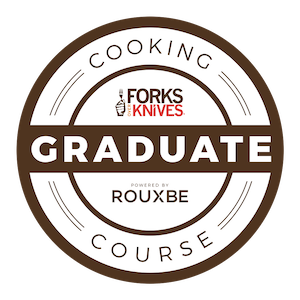 If the dessert recipe I created is a success, you’ll be seeing it posted shortly! Oh yes. This looks wonderful, Christine! I’m fanatical about fresh dill, and you know my feelings on hummus. I can’t wait to try this. Thanks, Gena! 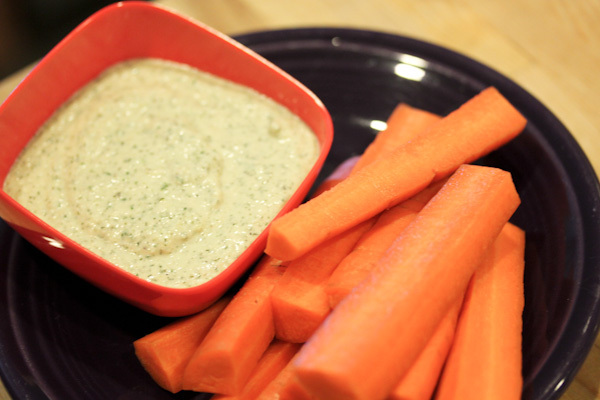 I’m a huge dill fan too and agreed on hummus, so versatile and fun. Thanks, it was and the leftovers made a good dressing. Currently he’s into The Last of Us on the PS3 and we also have an Xbox 360. 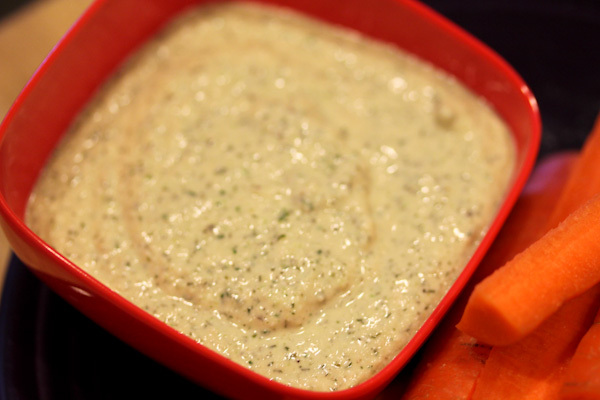 Thanks on the dip, it was a hit at the party and the leftovers made great dressing. We’ve been watching Jimmy Fallon on Hulu+ and last week was Gaming Week! He was talking about that one and Hulu+ has had lots of commercials on for it and it looks awesome! We have an inside joke about the name of it – basically because I read the title wrong in the ‘spot’ so now it’s an inside joke in our house but something keeps saying I should check that game out! We have a Wii but haven’t bought anything new for it in a while.